When it comes to fly fishing, Texas will blow you away with its sheer diversity! 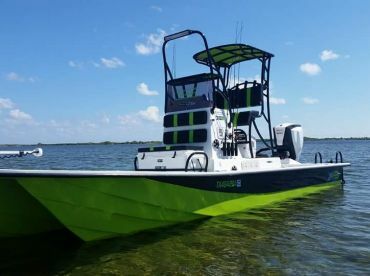 Freshwater, saltwater, bays, lakes, backcountry flats, you name it. 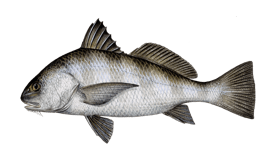 In fact, good fishing is so abundant that it can get downright confusing. When you’re faced with as many as a hundred awesome lakes, how do you even pick where to go? We’ll introduce you to some of the most popular fly fishing locations in the Lone Star State so you can make an informed decision. The first major decision you’ll need to make when fly fishing in Texas is whether you want to cast lines in freshwater or saltwater. There’s no wrong choice here, it’s just a matter of preference. The season can also play into it. 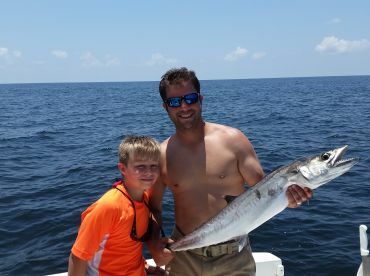 Let’s say you want your vacation to include relaxing on the beach, while it also happens to be the perfect time in Galveston to hook a mighty Tarpon on the fly. Whatever you want to do, there’s a place in Texas where you can do it while getting some great fishing on the side as well. 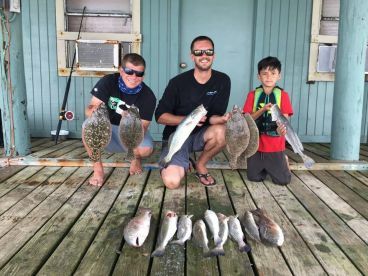 Big lakes are what put Texas on the map when it comes to world-class freshwater fishing, and it’s been that way since the sixties. The three main waters that every angler should know about are Sam Rayburn Reservoir, Lake Fork, and Lake Texoma. The largest of them all is the Sam Rayburn Reservoir, spread across an impressive 144,000 acres. Known statewide for the quantity and quality of Largemouth Bass caught here, Sam Rayburn also has some great Catfish and Crappie fishing to boot! The local Bass absolutely love hiding in places with hydrilla, making the anglers work up a sweat to get at them. Lake Fork is the Bass fishing capital of Texas, simple as that. Not only do anglers from all over the country come here every year, but you can also expect people from distant countries like Japan to join in on the fun. If you’ll be in the area at the start of spring, do yourself a favor and go after some 13 lb Lake Fork Bass. Last, but definitely not least, we have Lake Texoma. This summer lake is unmatched when it comes to the sheer number of Striped Bass caught anywhere in North America. It’s only natural that it will also have the highest number of active guides than any other lake in Texas. While the Stripers are abundant, they’re not as big as they can be in places like Lake Fork. In spite of the fact that fish are smaller, it’s a good idea to pack a heavier fly rod when fishing Lake Texoma (8 wt range) to help with pulling fish out of cover. For most other lakes, you’ll do just fine with a 6 wt rod, even when using bigger flies for Bass. Most Texan fly anglers will stick to the middle coast, home to the best saltwater fly fishing in the country. When someone says middle coast, they’re referring to waters between Port O’Connor and Baffin Bay. The main advantage this part of Texas has over the others is very clear and shallow water, perfect for fly fishing. 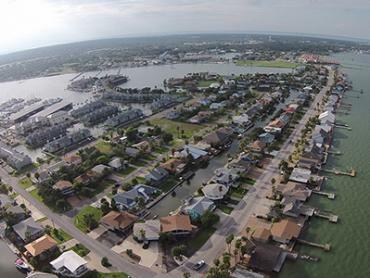 Some 45 miles southwest of Port O’Connor, Rockport is the crown jewel of the entire Texas Coastal Bend. 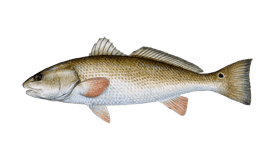 Focused on Redfish and Speckled Trout fishing, this is a fishery made for angling on the fly. To top it off, the entire Corpus Christi area is filled with bays that you can explore to your heart’s delight. Baffin Bay lies on the southernmost end of the middle coast area. 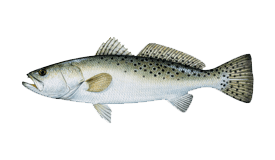 Most popular in the spring, Baffin Bay fishing is responsible for breaking no less than two Texas Trout records. If there’s a good way to catch Trout, there’s a resident expert to show you how it’s done. 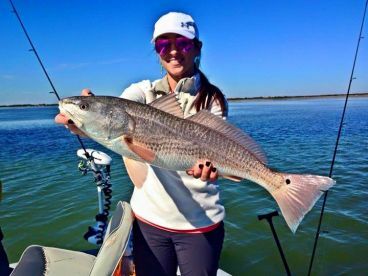 While the presence of fly anglers on the upper coast is minimal, the same cannot be said for the lower coast of Texas. Laguna Madre stretches over several hundred square miles of clear and shallow water, boasting some of the best sight casting in the state. Not only that, but you can also try your hand at catching Tarpon on the fly. If you’re after the Silver King, look no further than Port Isabel, located on the southern tip of Laguna Madre. You should be aware that fly fishing for Tarpon is not just very challenging, but also requires a heavier outfit that can handle this feisty fish. Choosing the correct fly pattern for the job isn’t very hard when you’re in Texas – some things just don’t go out of fashion. The Clouser Minnow is one of them, an integral part of both saltwater and freshwater fly fishing. Other mainstays include Woolly Buggers, as well as grasshopper patterns and crawfish imitators. You can fish year-round in Texas, but there are several advantages to going when the cold starts ramping up. The waters will be clear as they can get, and you’ll have the added bonus of avoiding the summer droves of people going on vacation. Whatever you decide, you can’t go wrong when it comes to Texas fly fishing.